We return now to our series on athletic scholarships, in which we’ve considered The “How Many” and “How Much” of Athletic Scholarships in general, The “How To” of Athletic Scholarships Explained, and basketball, lacrosse, women’s soccer, and women’s volleyball scholarships. As we’ll explain shortly, baseball scholarships, like those in most of the aforementioned sports, provide ample opportunities for misunderstanding but are a great boon if properly understood. So what are the odds of a high school player making it as far as a college team? According to Scholarshipstats.com, about 494,000 high school students play baseball. The colleges whittle that number down to 57,000. The odds of making an NCAA or NAIA roster are 13:1, which doesn’t sound bad, but in Division I the odds are a more daunting 50:1. Standing out from the crowd and getting a baseball scholarship usually requires a well-crafted strategy. How many baseball scholarships are there? NCAA Division I has a limit of 11.7 per team—with a roster limit of 35 players. In Division II the limit is nine scholarships for 39 players, and in the NAIA it’s 12 for 38. The NJCAA has a limit of 24 scholarships for 30 players. NCAA Division III does not offer athletic scholarships per se, but we’ll explain in a bit that baseball can still be highly relevant to the quest for financial aid in D3 schools. So does this mean, in the case of Division I, that about a dozen guys are getting money and the other 23 players are just there for the love of the National Pastime? We have good news and bad news. Baseball, like most college sports, is an equivalency sport and not a head-count sport. With head-count sports, it’s one scholarship per player. With equivalency sports, the coaches can divide one scholarship among multiple players. So the good news is that those 23 D1 players are not empty-handed and envious of the delighted dozen. The bad news is that once the coaches go to carving, the pie slices are usually on the small side. This catches many families by surprise, conditioned as we all are to hearing about the head-count awards in bigtime football and basketball. On average, Division I schools parcel out the baseball scholarships among 26 players. The lowest figure cited by Scholarshipstats is 14, with 30 the highest. So most players are getting something, but most players are not getting all that much. (Our best guess is that it pays to be a pitcher who can throw smoke and throw strikes.) The average scholarship is about $13,000, with $6,300 being the lowest reported and $26, 000 the highest. We hasten to point out that baseball scholarships, like other athletic scholarships, can be combined with other forms of financial aid. Bear in mind that the scholarship limit is per team, not per year, so the number of departing players determines the number of scholarships available to incoming freshmen. Now, what of NCAA Division III? While Division III programs do not offer athletic scholarships, sports can still be a ticket to financial aid, a component of an extracurricular resume that colleges consider strongly in making decisions about whom to admit and whether to bestow financial aid. Thus it is possible, even without baseball scholarships, for athletic prowess and the desire to perform at the college level to play a role in the acquisition of financial aid for ballplayers applying at Division III schools. Considering the competition for roster spots and funding, not many high-schoolers who want baseball scholarships can afford to sit back and wait to be discovered. We strongly recommend the “How To” article referenced above. If you want a baseball scholarship, you need The Coaching Educator—even if you can throw smoke and strikes. 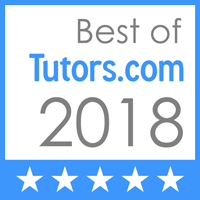 We also cannot recommend strongly enough that you let The Coaching Educator guide you through the process of registering for the things you need to register for, meeting the people you need to meet, visiting the places you need to visit, and attending the events you need to attend—without anyone breaking any rules. We’re proud of our Ultimate Athlete program, and we’re confident you’ll love it.